This book includes Snow on The Mountain, Fire on The Mountain and Storm on the Mountain all in one! 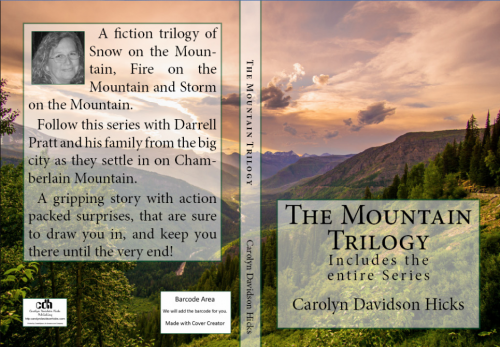 Follow this series with Darrell Pratt and his family from the big city as they settle in on Chamberlain Mountain with action packed adventure that is sure to keep you there until the very end! Book cover front and back!